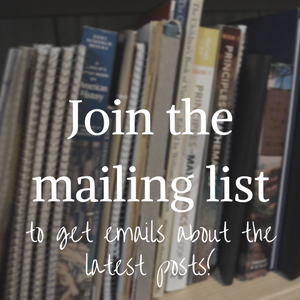 I would love to hear from you about questions, suggestions, and if you'd like to guest post, please email me! Log FilesLike many other Web sites, www.grammarlings.com makes use of log files. The information inside the log files includes internet protocol ( IP ) addresses, type of browser, Internet Service Provider ( ISP ), date/time stamp, referring/exit pages, and number of clicks to analyze trends, administer the site, track user’s movement around the site, and gather demographic information. IP addresses, and other such information are not linked to any information that is personally identifiable.
.:: Google's use of the DART cookie enables it to serve ads to users based on their visit to www.grammarlings.com and other sites on the Internet. www.grammarlings.com has no access to or control over these cookies that are used by third-party advertisers. This blog is a personal blog written and edited by me. For questions about this blog, please contact Jennifer A (jennifer@grammarlings.com). Unauthorized use and/or duplication of this material without express and written permission from this blog's author and/or owner is strictly prohibited. Excerpts and links may be used, provided that full and clear credit is given to Homesteading on Grace with appropriate and specific direction to the original content. So, in other words, this blog will hopefully (one day) begin generating a little income for my family. It will do so through advertisements and affiliate links. It is no cost to you, just me earning a little commission for advertising products on this space. The affiliate links are all to products I use and/or would buy. If any of the advertisements on this blog are offensive, please let me know. This is supposed to be a God-honoring place, and I've tried to limit what is allowed to be advertised, but I could have made a mistake somewhere. Share, but don't copy or claim. And please make sure your shares credit Grammarlings or link back to this blog. Also, I need to let you know that my opinions that are related to you on this blog have in no way been evaluated by anyone of importance (FDA, medically, legally, etc.) and as such are not to be taken as the Word of God but should be handled with common sense and your own research. What you do is your own fault, in other words. There is nothing about me that you should take as an authority on any subject. Hopefully that's enough to cover my rear.